author Harris, William E.; Durrell, Patrick R.; Petitpas, Glen R.; Webb, Tracy M.; Woodworth, Sean C.
title Unveiling palomar 2: The most obscure globular cluster in the outer halo. Harris, W.E. ; Durrell, P.R. ; Petitpas,G.R. ; Webb,T.M. ; Woodworth,S.C. Revealing Palomar 2: a new outer-halo cluster. 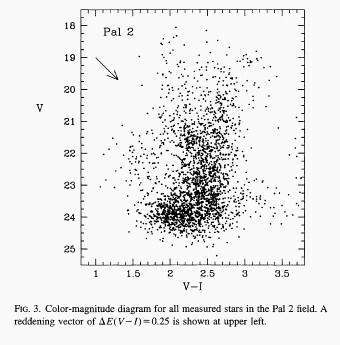 Harris, William E.; Durrell, Patrick R.; Petitpas, Glen R.; Webb, Tracy M.; Woodworth, Sean C.
Unveiling palomar 2: The most obscure globular cluster in the outer halo.